“Freedom and Unity” is the state motto of Vermont where Biker Billy will be going for the Crossroads Rally. Ain’t it the truth that “Freedom and Unity” is what bikers want? Freedom of the road and unity with our fellow riders, give me both and all is good. The Crossroads Rally will offer you that and so much more – good old time biker fun and entertainment. You can enjoy everything from Jello wrestling to a painted lady contest and a Miss Crossroads 2012 competition along with classic biker games and a tattoo contest. The list is as long as some of the pipes will be loud. Adding to the hot fun in the sun this year will be two shows by yours truly, Biker Billy on Saturday July 21th. 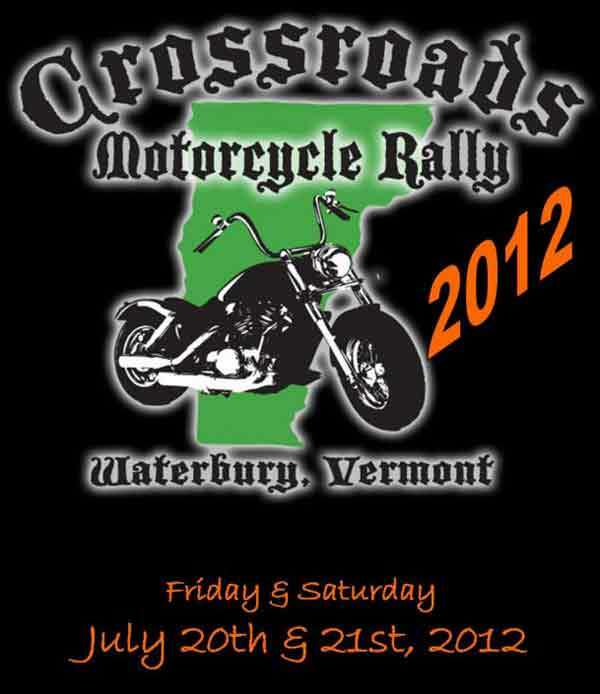 The rally officially starts on Friday June 20, 2012 for two days of biker fun in the gorgeous mountains of Vermont. Great riding roads and scenery that can’t be beat, plus fun places to stop and shop or eat surround the Rally. You have to get yourself some of the famous Vermont Maple syrup and bring it to my first show because I will be making you some killer biker breakfast. What you do with the extra syrup is all up to you and yours. So pack up your scoot and your sweetie and ride over to the Crossroads Rally, I hope to see you there!